In 2009, Prof Ray Lowenthal stepped down from the position of Director of the Department of Clinical Haematology & Medical Oncology at the Royal Hobart Hospital, a position he held for nearly 25 years. He continues as Consultant Haematologist and Medical Oncologist, Royal Hobart Hospital; Clinical Professor at the University of Tasmania (since 1994); and Director of the Tasmanian Statewide Bone Marrow Transplantation Service. He is also an Honorary Member of the Menzies Research Institute of the University of Tasmania. He trained at the Royal North Shore Hospital of Sydney and graduated from the University of Sydney in 1965. After post-graduate training in the UK, including research appointments at Northwick Park Hospital and the Leukaemia Unit at the Royal Postgraduate Medical School, London, he returned to Australia in 1975 as Senior Lecturer in the Department of Medicine, University of Tasmania. His research interests are mainly in leukaemia, lymphoma, bone marrow transplantation and clinical trials of new cancer treatments, and he has been an author or co-author of over 130 peer-reviewed scientific papers. He has also been the author of numerous conference abstracts and non-per reviewed publications as well as several book chapters. In 1990 he published a book for the general public Cancer: what to do about it. He was the first chairman of the Australian Leukaemia Study Group (1982-84). 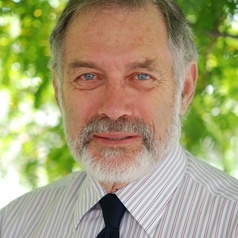 He has been President of the Tasmanian Branch of the Australian Medical Association (1996-98), a member of the Medical Council of Tasmania (1996-2004) and the inaugural chairman of The Cancer Council of Tasmania (1996-2001). From 2001 to 2004 he served as President of The Cancer Council of Australia. In 2005 he was the recipient of the Medical Oncology Group of Australia’s Cancer Achievement Award and for 2005-06 he was the Bob Pitney Travelling Fellow for the Haematology Society of Australia & New Zealand. The HSANZ made him a life member in 2008. In the Australian Queen’s Birthday honours list for 2006 he was made an Officer of the Order of Australia (AO) “for service to medicine in the fields of oncology and palliative care and as a clinician, educator, researcher and contributor to professional organisations at state and national levels".